Crystal Palace forward Wilfried Zaha said he does not receive fair treatment from referees and that he may need to have his leg broken before an opponent is sent off. Zaha has drawn 11 fouls so far this season, only Chelsea star Eden Hazard, Leicester's James Maddison and Will Hughes of Watford have been fouled more. His claim comes after he was pulled to the ground by Huddersfield's Mathias Jorgenson, who was booked for the incident, during Palace's 1-0 win over David Wagner's side. 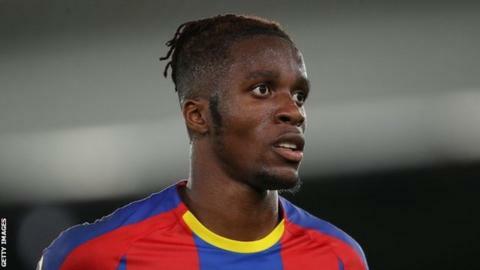 Palace have not won a Premier League game without Zaha since September 2016 and the Ivory Coast worldwide was linked with a move away during the transfer window. It was the forward's third goal in four Premier League games this season as Palace now have six points from five matches. "I know that for a fact [opponents are out there to hurt me] but I just don't know what to do anymore", Zaha added. "I don't think we had many shots but I managed to connect with it well and scored". "I don't know [what can be done to help]". "I can't say anything else". Why am I getting different treatment to other players? "Obviously, it's hard, because.it doesn't make you want to go on a run because you feel like someone will come through the back of you or do whatever and you'll get injured", Zaha said.